As I walked down the hallway towards the bathroom, I glanced to my right into the 10 or so offices I passed, noticing that everyone was still in their offices just the same as they were hours ago. Same thing with the cubicles to my left. By now I am well aware -my co-workers don’t move much at all. They eat lunch at their desks. They don’t drink enough water, so only need to walk to the bathroom 1-2 times. In fact, most rarely leave the floor during the workday, never mind the building. It’s tragic because we work in a major east coast city, right on the waterfront. 99% of ‘Corporate America’ would envy our setup. Picturesque sights and sounds are all around; the calming presence of the nearby water no more than a few minutes away. It doesn’t take out worldly intelligence to realize that sitting is harmful to your health. It’s certainly not easy staying healthy sitting at a desk all day. When you think about how often we are sitting or sleeping – it becomes a startling thought. Low energy expenditure has become the norm. If you breakdown your typical work day – there is a good chance you are sitting or sleeping for 75-90% of the time. Even if you are exercising on the regular, research shows it might not be enough. In contemporary society, we have grown immune to manual labor and physical activities, especially when compared to generations of the past. Say the term “blue collar” today and you might get puzzled looks by some of your co-workers. Due in large part to technological advances, we have mastered the art of “working” with the least amount of movement possible. The service industry will continue to expand, making more and more people motionless puppets. Obesity rates continue to skyrocket around the globe, with no end in sight. It’s time to get up and move! Below are some of the simple ways in which you can stay healthy sitting at a desk all day. The first recommendation isn’t earth-shattering – you need to walk more throughout the work day. Drinking a ton of water (which you should be doing), and thus needing 4-5 bathroom trips. BONUS TIP: Use a bathroom on the floor above/below you, taking the stairs. Walking to and from the water cooler and/or coffee pot. 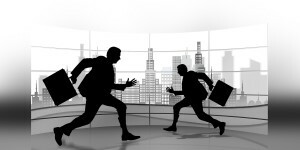 Stretching your legs by walking around the office, stopping at cubicles and offices to talk to co-workers. Each state has a different “meal law” and the U.S. Department of Labor provides this informative map showing the state-by-state details. I receive a 1-hour lunch break, and I use every minute of it (and then some). If you are working a full-time, white-collar job, you most likely will have the same allowances as I. You must use your lunch break to exercise. Eat for 15 minutes, and walk around for the remaining time. If you cannot go outside due to weather issues, walk around the building or do stretching exercises. Walking around the office and on your lunch break isn’t enough, as that only equates to an hour or so of standing and moving. You need to also stretch at your desk throughout the day. DO NOT SLOUCH in your chair. I found myself doing this all the time, so I tried a back support cushion. That still didn’t help me, so I moved on to a stability ball, which I now rotate with my chair throughout the day. Check out the below videos on how to correctly sit at your desk – as well as some easy desk exercises to keep your body loose throughout the work day. I’d aim to perform these 2-3 times a day spaced out every several hours. I use a combination of walking and public transportation to get to work. Every day, the stairs are empty while the escalators are full. 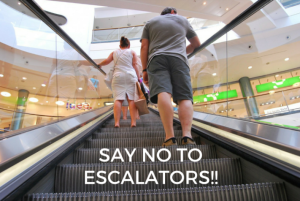 There is no excuse to use the escalator unless you have a serious health condition or debilitating pain that prevents you from using stairs. There is also that SLIM chance something goes wrong with the escalator. Stop being lazy. 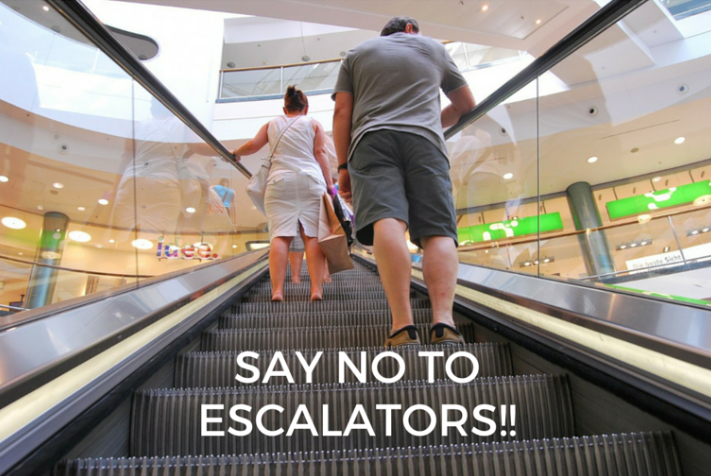 Use the stairs everywhere you go; including those at your workplace and at any public transportation station you may use. You must also continue (or begin) to exercise on a frequent basis. I don’t need to post the benefits of working out, because the positives are all common knowledge at this point. Healthy diet + frequent intense exercise is what you need to strive for. Drop the excuses and find the time. Morning, night, lunch break, weekends – we all have at least one small window of time in which we can devout to working on our health and condition. 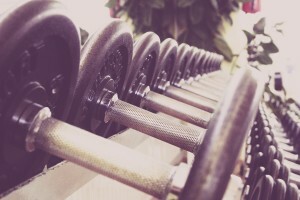 High intensity is the key – You can have an effective workout that takes no more than 30 minutes! BONUS TIP: Check out the 3 videos below by Mike of Danger & Play on how to incorporate posture building exercises into your workout routine. I implemented these several months ago, and have seen a significant improvement in my posture while sitting, standing, and walking. Improve those rounded shoulders once and for all. As we have shifted to an “easy-of-use,” efficient society – we have also brought on a general acceptance towards laziness. Never before in history have so many people exerted such little energy throughout the day (and their lives). You need to be aware of the potential health issues if you are one of the many who sit semi-motionless at a desk for 8+ hours a day. Even though we are in the midst of a major epidemic of unhealthiness – it remains the elephant in the room because any discussion of it is met with a wrath of backlash by the “outrage police” and the “body positivity” crowd. Politicians certainly won’t touch it because of these consequences. Companies have been encouraged to do more to get employees moving, but this has been a slow, and quite frankly, woefully inadequate attempt. The $300 gym reimbursement that I receive from my health care provider is nice – but more needs to be done by companies and health companies alike to reward those who are healthy and punish those who are not. To stay healthy sitting at a desk all day – you must incorporate the above recommendations into your daily office routine. Your health is important – don’t squander it! Do you have additional tips, tricks, or recommendations for staying healthy while working in an office? Follow me for constructive insights, opinions, motivation, and much more!